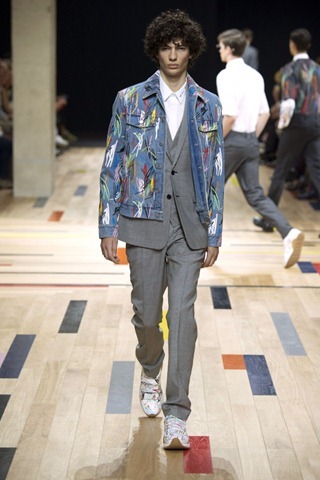 The fashion house of KENZO was started in 1970 as Jungle Jap, a boutique in Paris at Galerie Vivienne where the founder Kenzo Takada,sold his handmade women’s collection.In 1993, KENZO joined the LVMH Group.For the Autumn/Winter 2012 ad campaign, Carol and Humberto worked with legendary French artist Jean-Paul Goude. 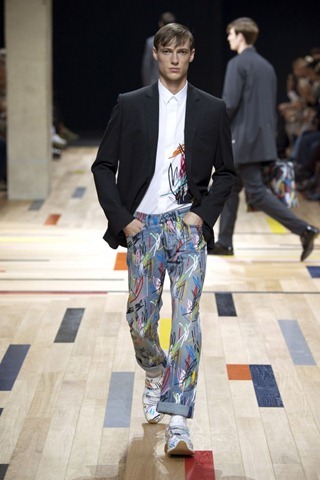 In July 2012, Humberto and Carol reintroduced the jungle to the KENZO brand.Today, with Carol and Humberto’s passion for spontaneity and fun, KENZO has a fresh attitude with respect for the heritage of the brand. 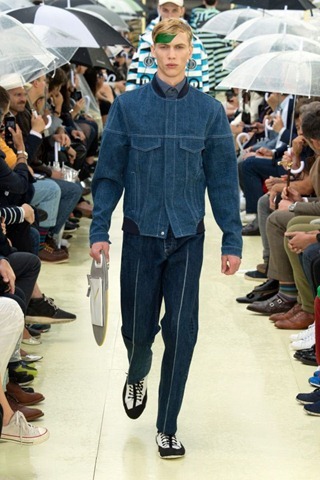 Their denim looks are fresh and free from stereotypes – specially looking to bring out the double denim and tailored looks. 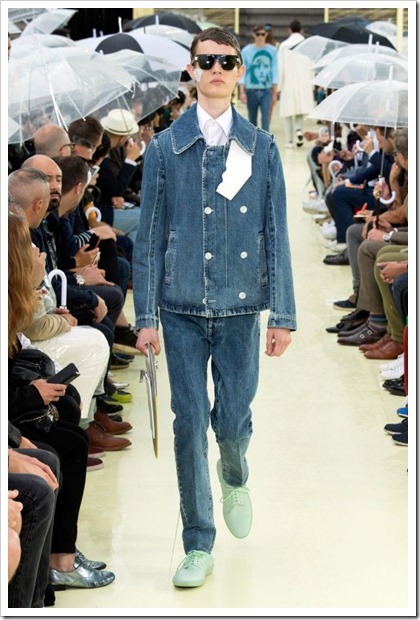 We have previously covered this Japanese brand with most eye catching non-orthodox , geometrical patterned denim looks in detail. 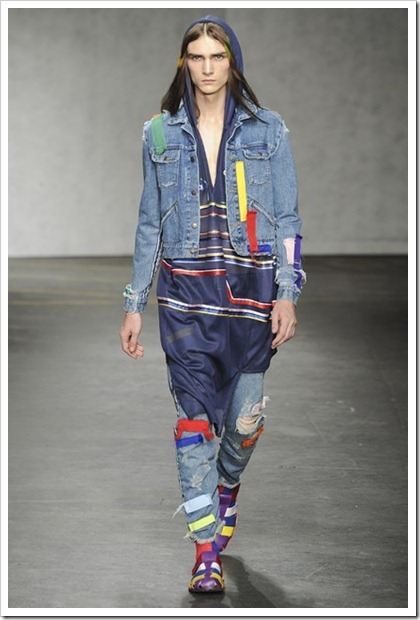 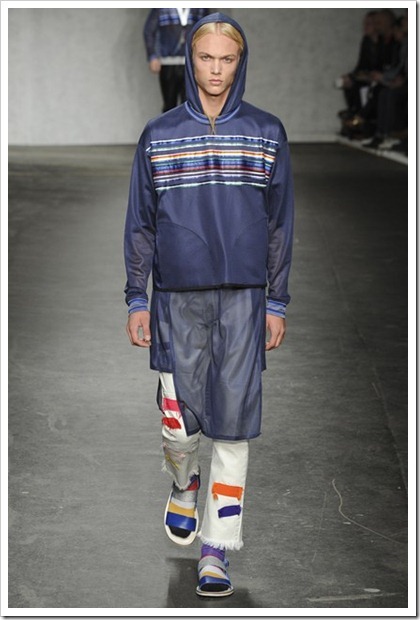 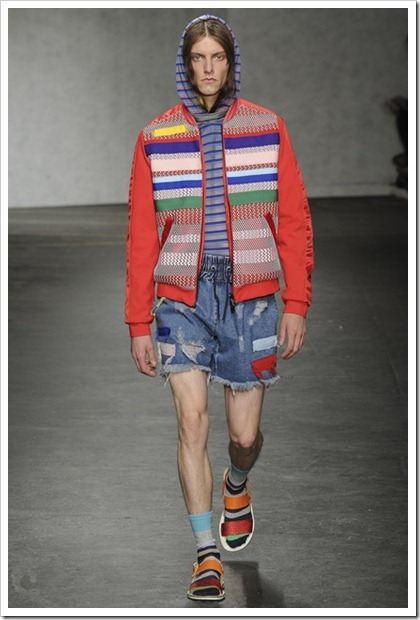 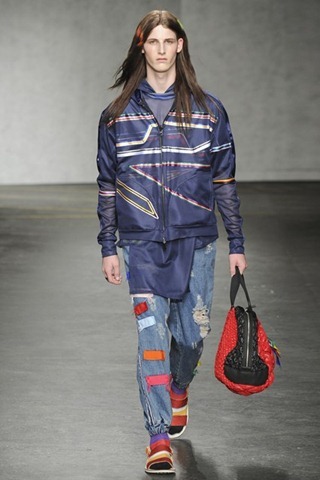 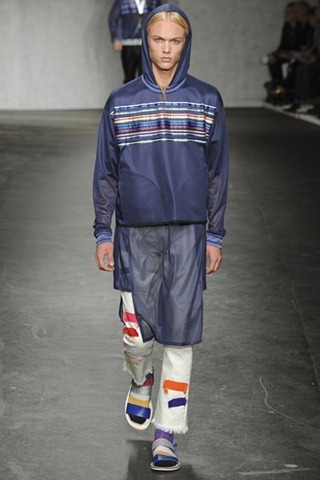 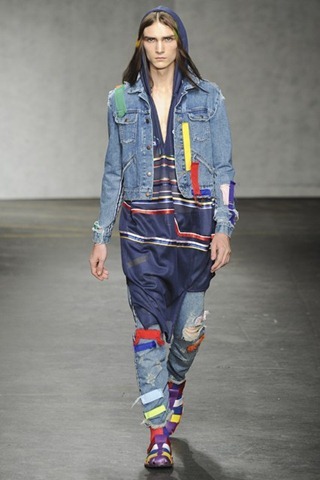 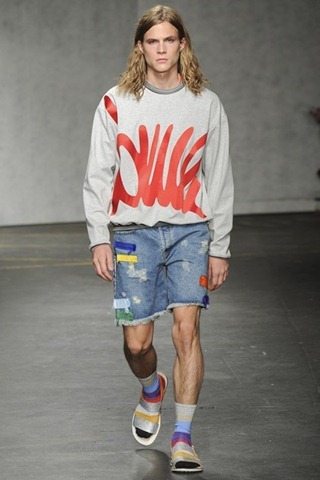 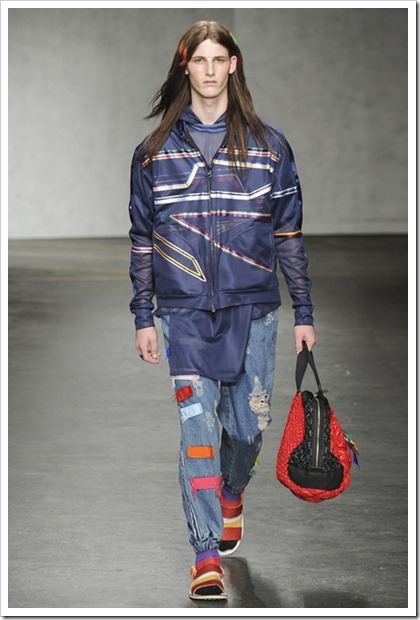 James Long , UK, singularly focuses on patchwork and distress to create that multicolored denim look from a singular denim base. 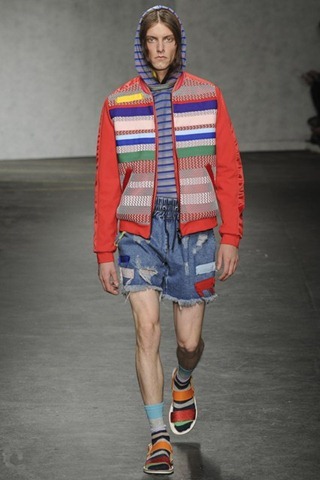 A bit too patchy , the collection does the job of catching the eyeballs. 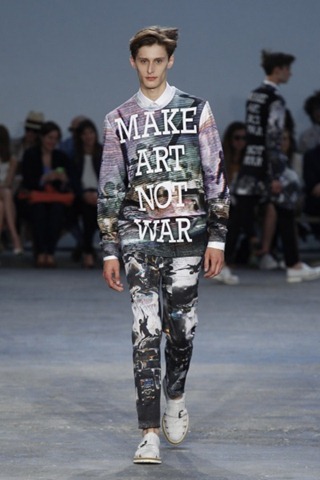 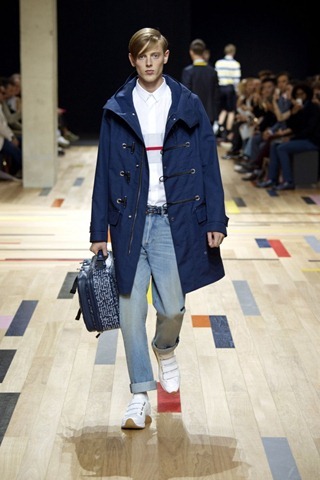 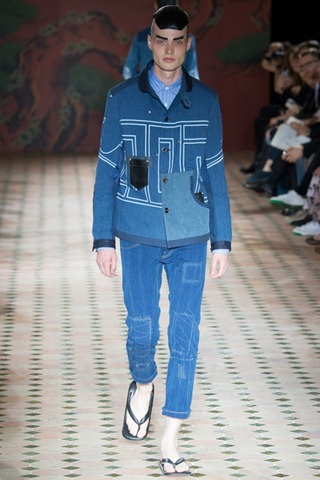 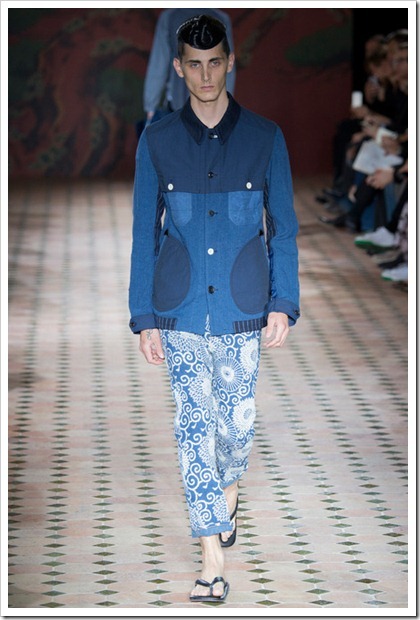 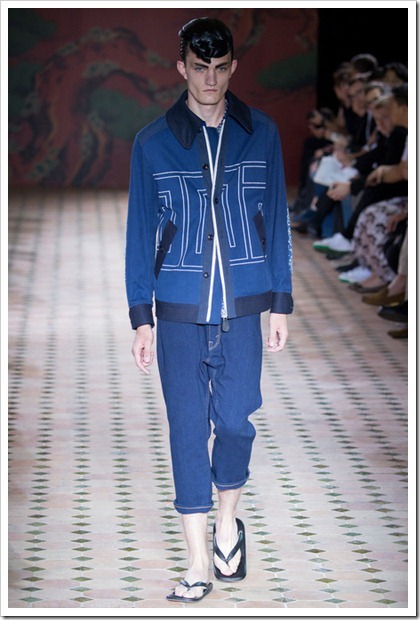 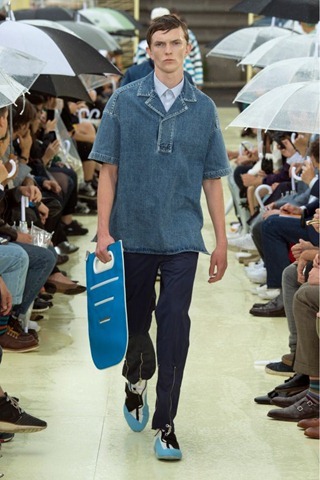 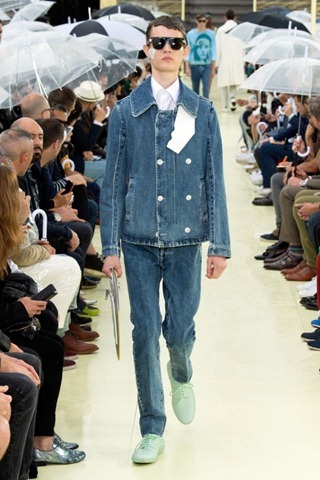 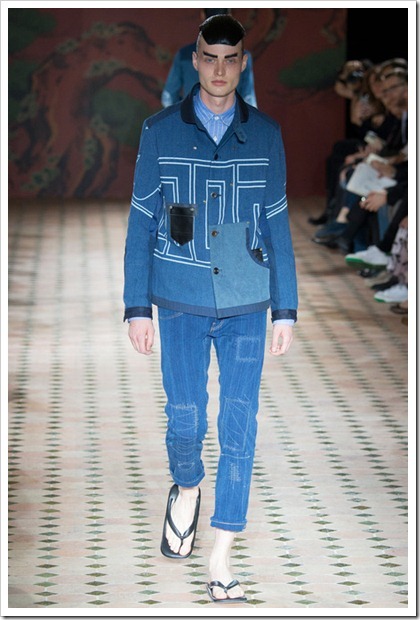 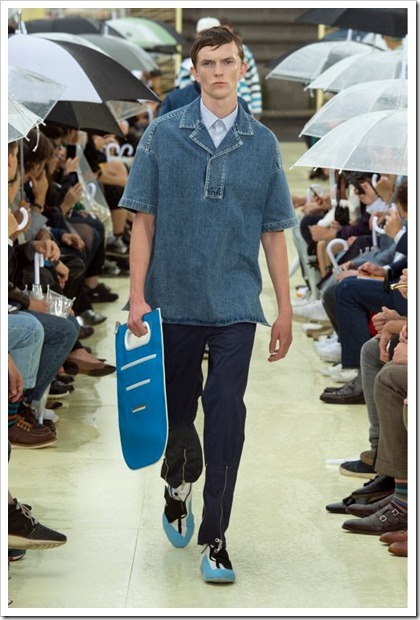 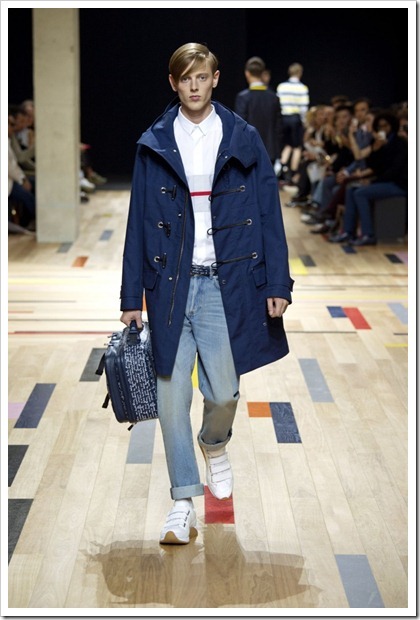 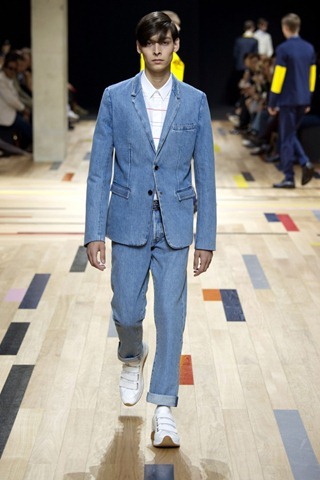 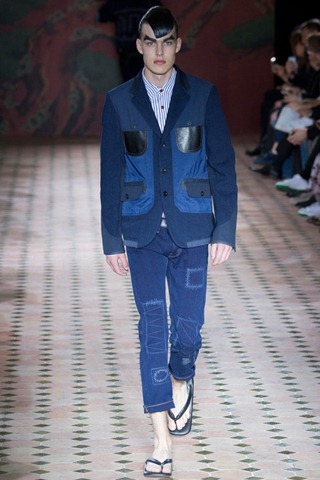 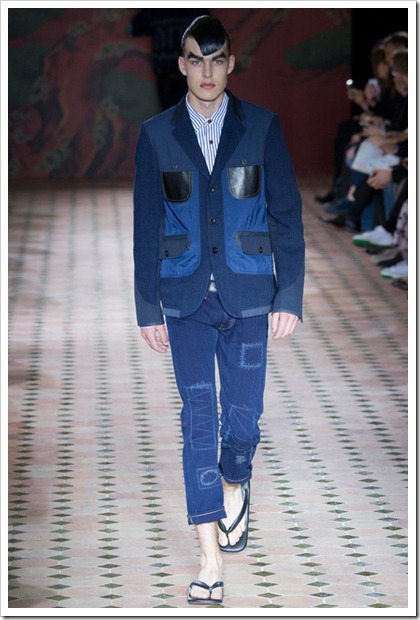 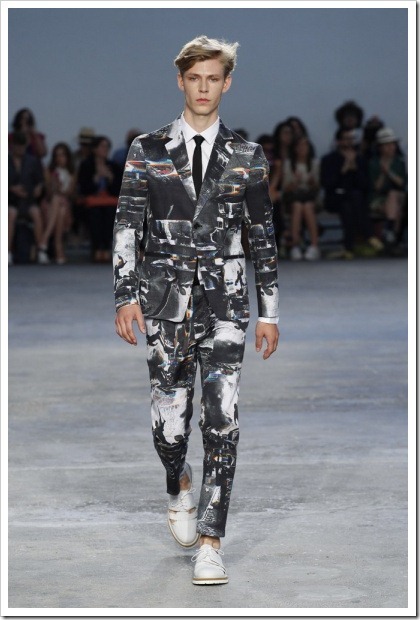 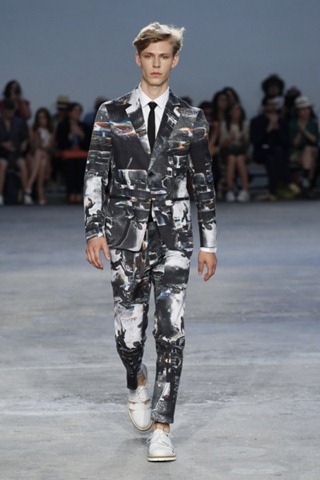 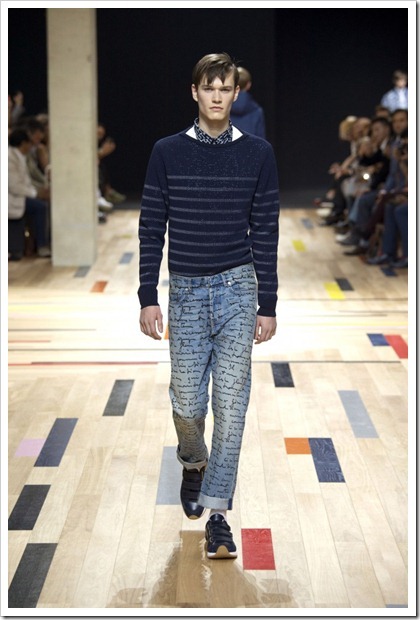 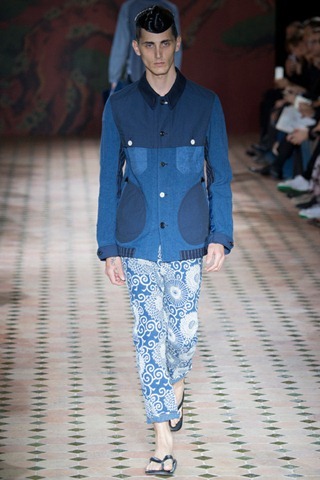 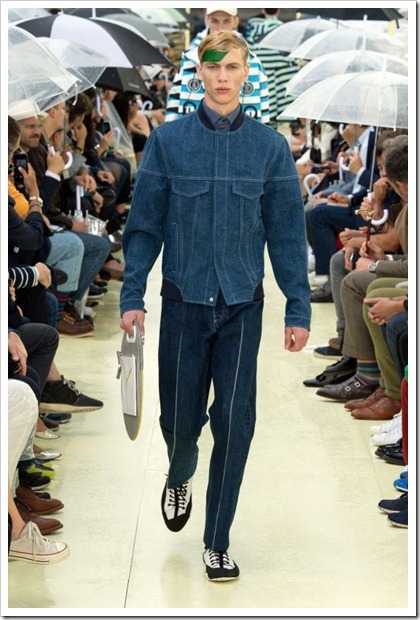 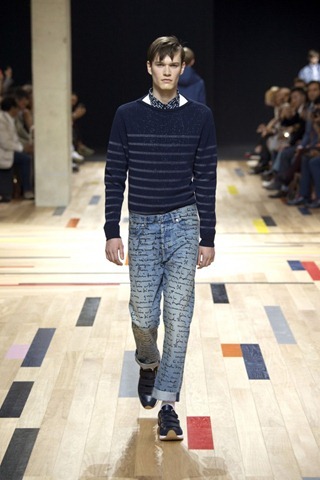 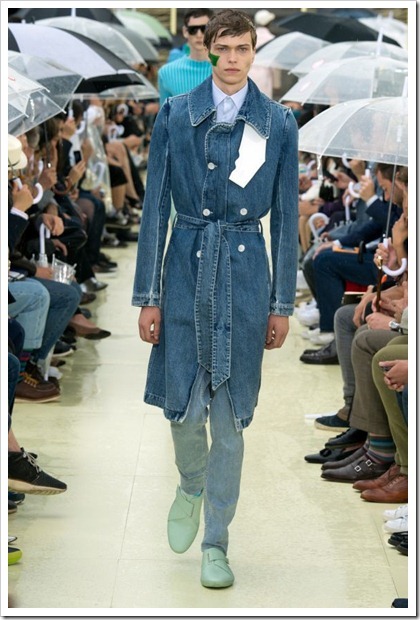 Tailored suits , hand paints and written texts are some of the highlights of Dior SS’15 denim looks. 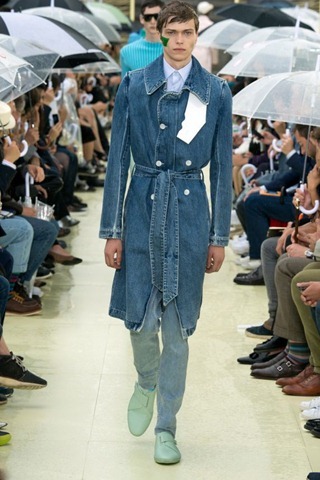 Christian Dior was a visionary. 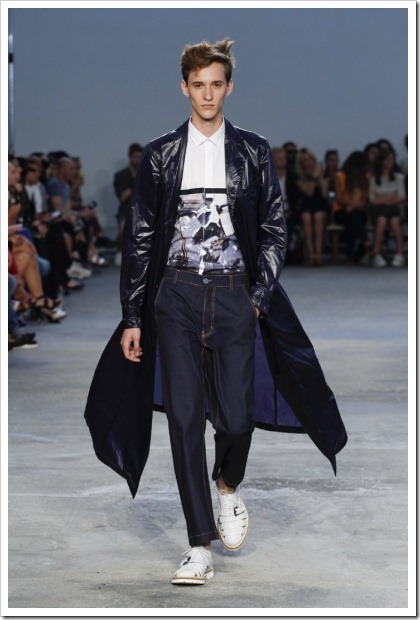 Beginning with his first collection in 1947 he rewrote the rules of modern elegance and imposed his style on the entire world. 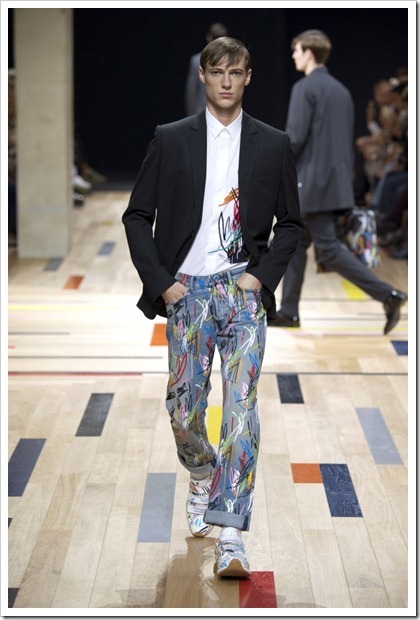 He brought women his vision of beauty and happiness. 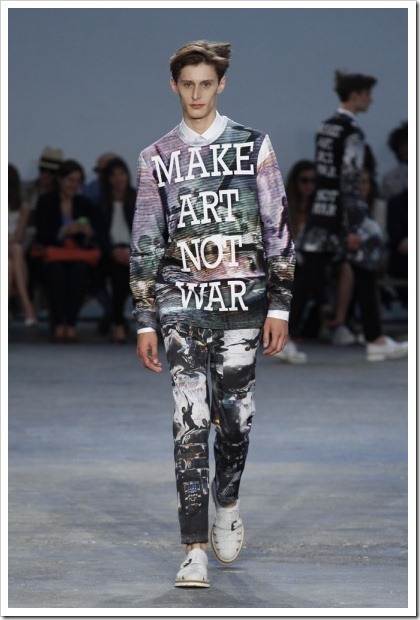 He showed unprecedented creative originality. 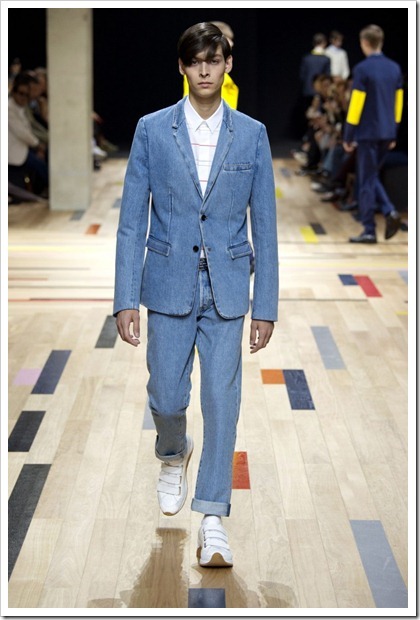 We see that continuing with his denim looks. 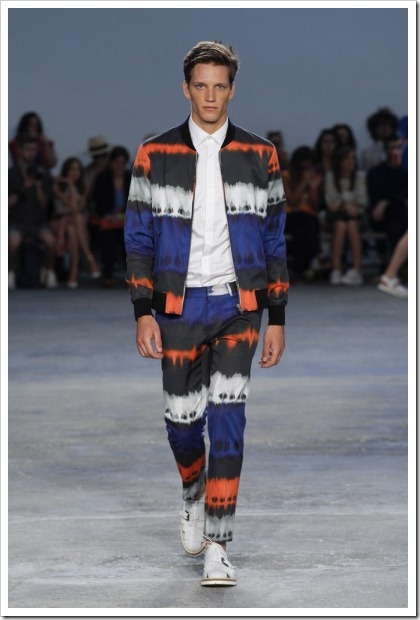 The Frankie Morello brand was founded in 1999 as a result of a meeting in styles between Maurizio Modica and Pierfrancesco Gigliotti. 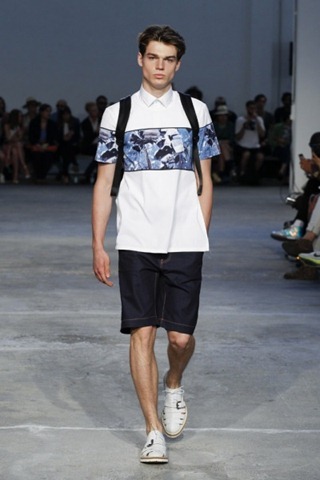 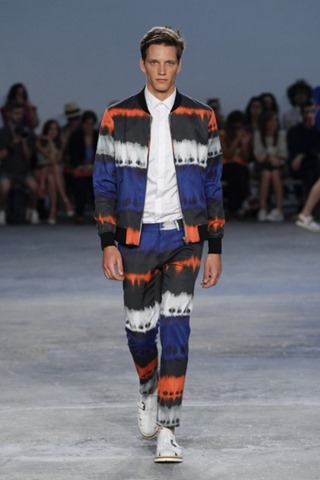 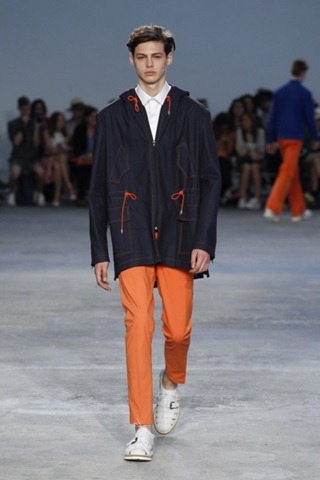 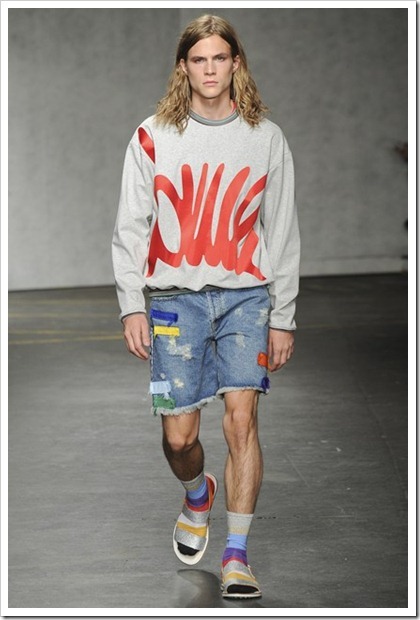 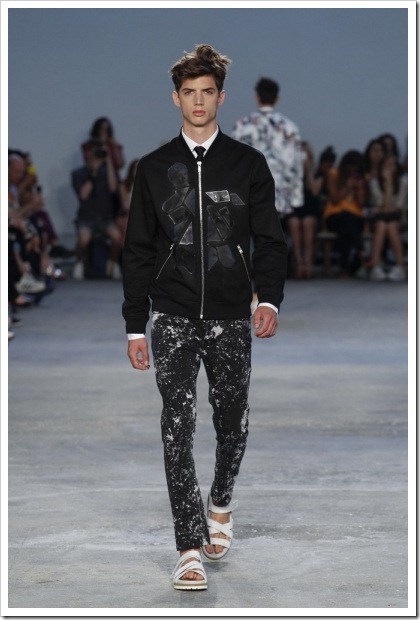 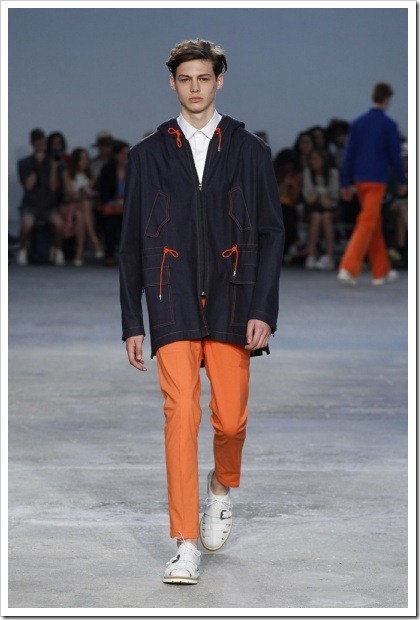 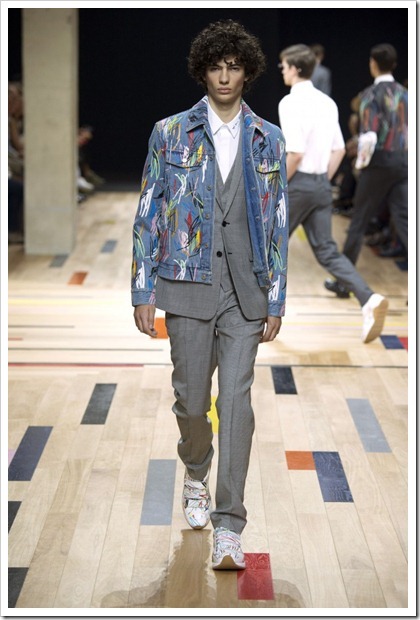 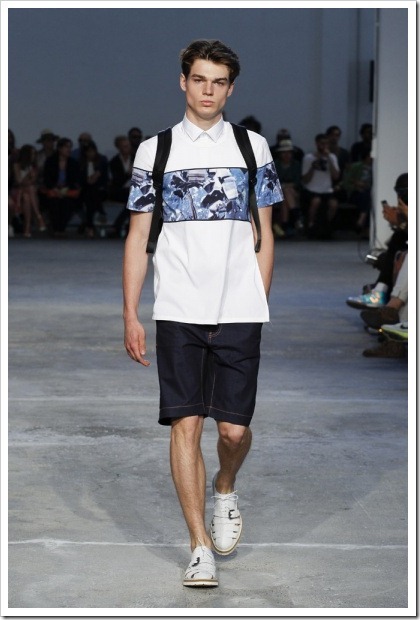 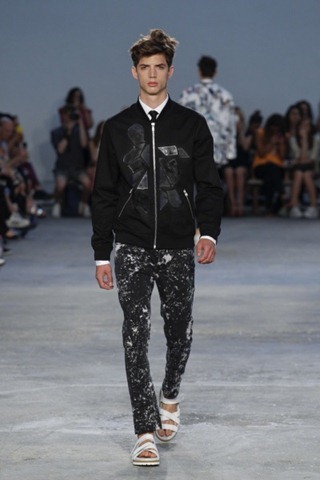 The limelight turned to the Frankie Morello brand in 1999 with the men’s spring/summer collection, which immediately called the attention of prestigious international periodicals and important buyers. 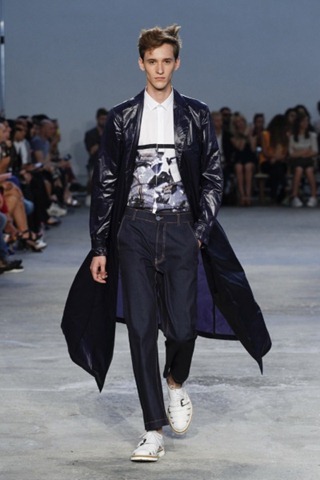 Today, despite the evolution and eclecticism shown in expressing a form of fashion aiming to step outside convention, the two designers have not lost their strong identity, continuing to offer garments with fresh sartorial content.